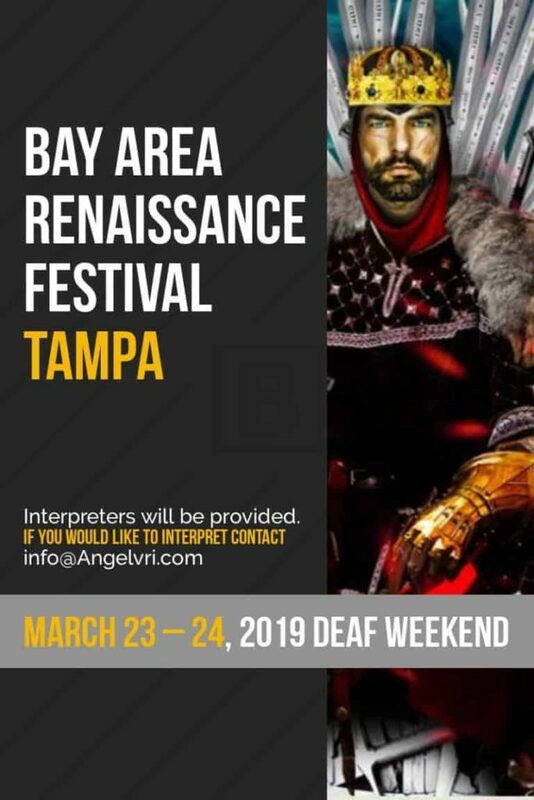 On March 23 and 24th the Tampa Bay Renfest will be having their deaf appreciation weekend. Come and have lots of beer and fun. Interpreters from Angel Interpreting and the students of USF will be providing the Interpreting.